Reinforced Resin series parts are made in a proprietary material with a forged steel insert, handcrafted in small batches. They are manufactured right here in Flint Michigan USA by our staff. The material is extremely durable, with a ultimate tensile strength of 3170 psi. 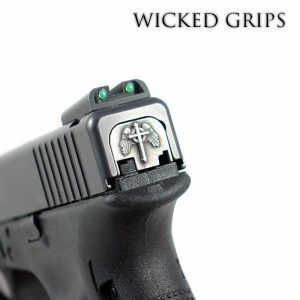 Completely unique to the gun industry, another Wicked Grips Industry first! 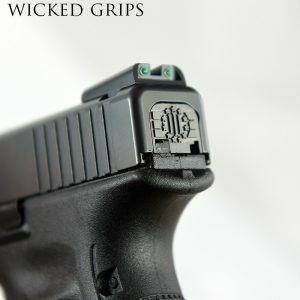 Installation in your Glock Slide is as simple as removing your factory part, and replacing with our drop in version. 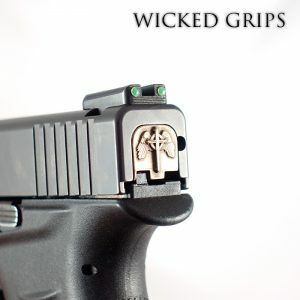 Glock 43 pistols have a very strong extractor spring, which will fly out if you are not careful. This spring needs to be fully depressed to install the new plate, and is under a lot of pressure. Please be advised! 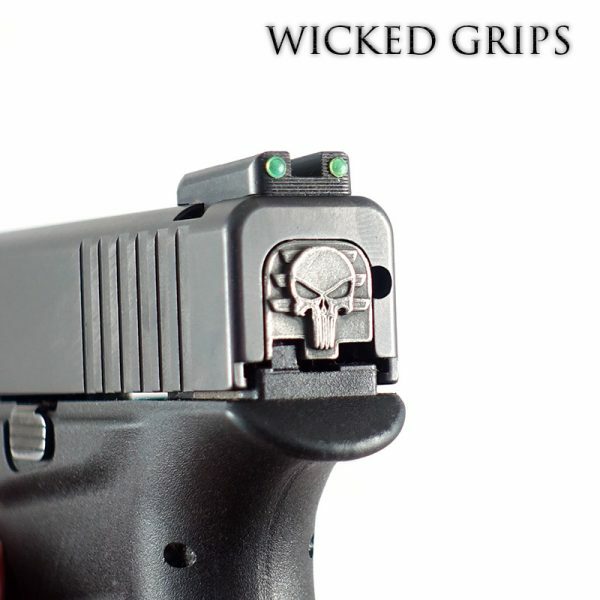 If you are not familiar with the process on how to remove this part, please seek help from a gunsmith, or watch our video below which explains the installation process. 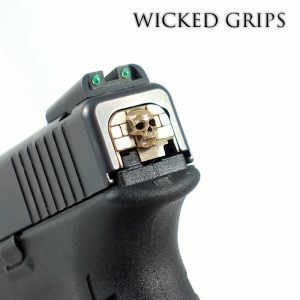 FOR GLOCK 43 COMPACT, 43x, and 48!